Corey is a Full Professor in the Departments of Mechanical Engineering & Materials Science, Applied Physics, and Physics and Graduate Program in Computational Biology & Bioinformatics at Yale. Before joining the faculty at Yale, he was a postdoctoral fellow working with Prof. Andrea Liu (UPenn, Physics) who was then at UCLA and Prof. Sidney Nagel (UChicago, Physics) on computational studies of jamming transitions in frictionless granular materials and glass transitions in model glass-forming liquids. Corey recieved his Ph.D. in Physics from the University of Pennsylvania in 1999; his dissertation focused on developing elasticity theories for liquid crystalline systems with biological importance such as DNA-cationic lipid complexes. See his Ph.D. thesis. Corey was an undergraduate at Duke University and graduated in 1994 with a B.S. in Physics. He likes to point out that while at Duke, he performed experimental research on granular materials in Bob Behringer's Lab and to his knowlege did not break anything! His CV is available here. Mark is a Full Professor in the Department of Physics and Benjamin Levich Institute at the City College of New York (CCNY). 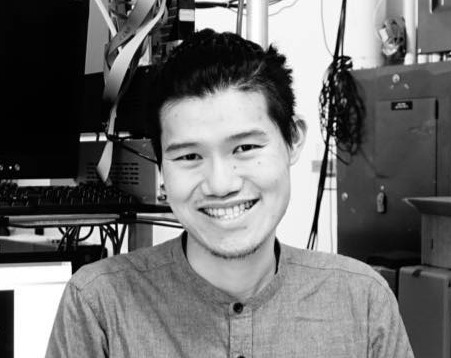 Before joining the faculty at CCNY, Mark was a postdoctoral fellow in the Department of Physics and Center for Nonlinear Dynamics at the University of Texas at Austin working with Prof. Harry Swinney on vibrated granular media. Mark earned his Ph.D. in 1995 from Duke University while working with Prof. Robert Behringer on "Flows in Porous Media: Visualization by Magnetic Resonance Imaging". (Mark and Corey overlapped for four years at Duke.) Mark spent part of his sabatical at Yale in 2007 and has continued to visit Yale once a week since then. Mark and Corey have a number of ongoing research projects including the development of statistical mechanics descriptions of granular materials that include hard-particle constraints, friction, and non-spherical particle shapes. Arman Boromand is a postdoctoral research associate in the Department of Mechanical Engineering & Materials Science at Yale. He obtained his Ph.D. in Macromolecular Science and Engineering from Case Western Reserve University. During his Ph.D., he developed a mesoscopic computational model to study bulk and interfacial properties of particulate systems (e.g. colloidal suspensions and gels) under equilibrium and nonequilibrium conditions. He earned his first M.S. degree from KU Leuven, Belgium in Chemical Engineering and the second one in Mechanical Engineering from the Univerisity of Ljubljana, Slovenia. His academic journey started at Tehran Polytechnic, where he obtained his B.S. in Mechanical Engineering. At Yale, he will study jamming in packings of non-spherical and compressible particles. Yuan-Chao Hu is a postdoctoral research associate in the Department of Mechanical Engineering and Materials Science at Yale. He obtained his Ph.D. in Materials Science at the Institute of Physics, Chinese Academy of Sciences in 2018. He was also a joint Ph.D student at the City University of Hong Kong from 2015 to 2017. During his Ph.D., his research focused on the structure and dynamics of supercooled liquids and metallic glasses using molecular dynamics simulations. He obtained his B.E. in materials science from Jilin University in 2013. At Yale, he will study the glass-forming ability and mechanical properties of metallic glasses. 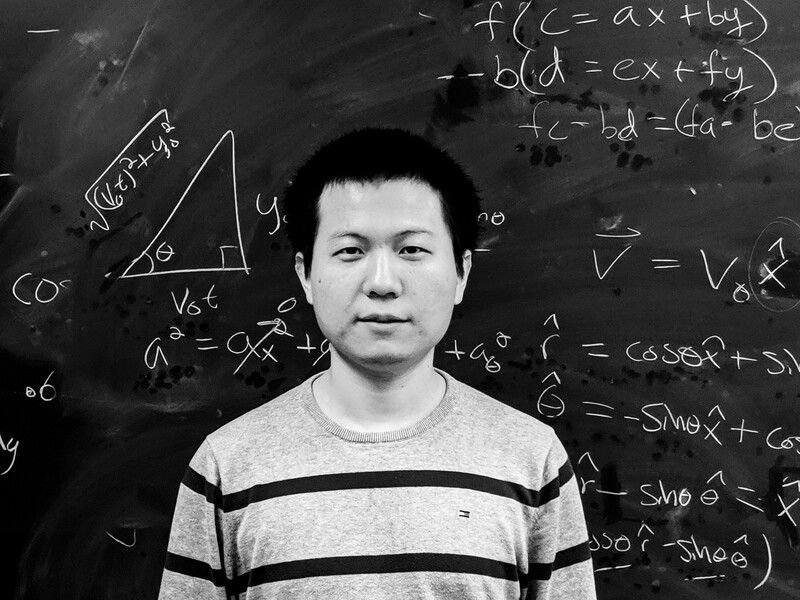 Dong Wang is a postdoctoral research associate in the Department of Mechanical Engineering & Materials Science at Yale. He earned his Ph.D. in Physics in 2018 from Duke University working with Prof. Robert Behringer. His Ph.D. focused on the experimental studies of the response of granular materials to applied shear using photoelastic particles. He earned his B.S. in Applied Physics from the University of Science and Technology of China in 2012. At Yale, he will carry out computational studies of cell migration on soft substrates in collaboration with Prof. Michael Murrell. 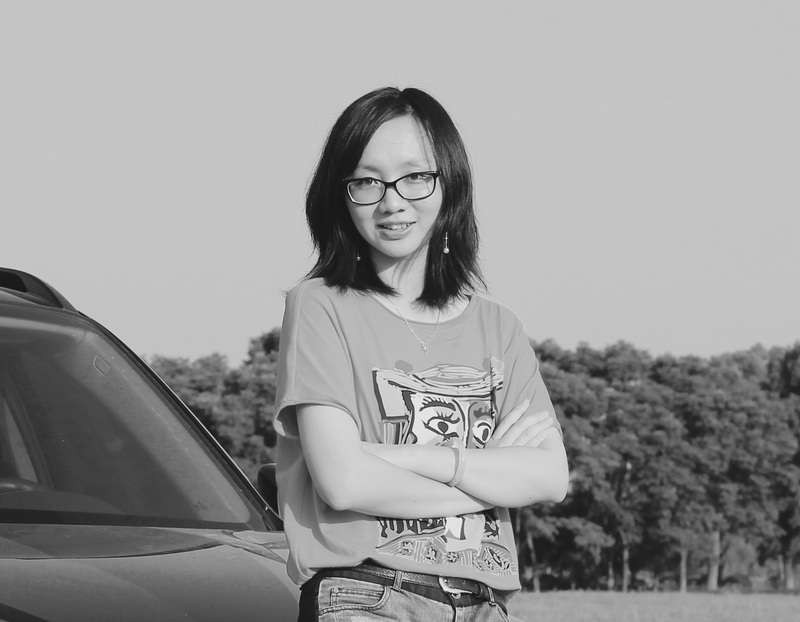 Meng is a fifth year Ph.D. student in the Department of Mechanical Engineering & Materials Science at Yale. He earned his B.S. in Thermal Engineering from Tsinghua University, China in 2013, working with Prof. Hai Zhang on experiments of laminar premixed flames. He was also an exchange student at the University of Alberta in 2011, working with Prof. Sushanta Mitra on droplet evaporation dynamics. His current work focuses on molecular dynamics simulations and energy landscape analyses of the preparation-rate-dependent mechanical properties of model glass-forming materials in collaboration with Prof. Jan Schroers from Yale MEMS. Zhe Mei is a second year Ph.D. student in the Department of Chemistry at Yale. She earned her B.A. in Chemistry from Bard College in 2016, working with Prof. Christopher LaFratta on designing microfluidic fuel cells. Her current research project focuses on calculating void spaces in protein crystal structures and correlating them with backbone motion in response to amino acid mutations in collaboration with Prof. Lynne Regan from the Department of Molecular Biophysics & Biochemistry at Yale. Aya is a second year Ph.D. student in the Department of Mechanical Engineering & Materials Science at Yale. She earned her B.S. in Physics from University of Illinois at Urbana-Champaign in 2016, where she studied avalanche statistics with Prof. Karin Dahmen. Her current work focuses on modeling crystallization and glass-forming ability of metallic glasses using molecular dynamics simulations. Jack (John) Treado is a second year Ph.D. student in Mechanical Engineering & Materials Science at Yale. He is generally interested in the structural and mechanical properties of soft matter, especially near phase transitions. He is currently investigating the similarities between vibrations in protein cores and those in jammed solids. He completed his B.S. degree in Physics in 2016 at Georgetown University, where he studied coarse-grained models of mRNA-protein interactions with Prof. Peter Olmsted. Jack is an active participant in the Integrated Graduate Program in Physical and Engineering Biology. Kyle is a fourth year Ph.D. student in Yale's Physics Department. He earned his B.S. in Physics from the University of Massachusetts at Amherst in 2014. His current research involves using computer simulations to understand the structural and vibrational properties of static packings of elongated and faceted particles and to determine how the jamming transition changes from that for spherical particles. Philip is a third year Ph.D. student in the Department of Mechanical Engineering & Materials Science at Yale. He earned his M.S. from the University of Southern California in 2015, working with Prof. Paul D. Ronney on experimental studies of flames. He earned his B.S. from National Cheng Kung Univeristy, Taiwan in 2012. He was also an exchange student at Tohoku University, Japan in 2010, working with Prof. Kaoru Maruta on microgravity combustion. His current Ph.D. studies involve numerical investigations of granular beds subjected to fluid shear flows in collaboration with Profs. Nick Ouellette from Stanford University and Abe Clark from the Naval Postgraduate School. 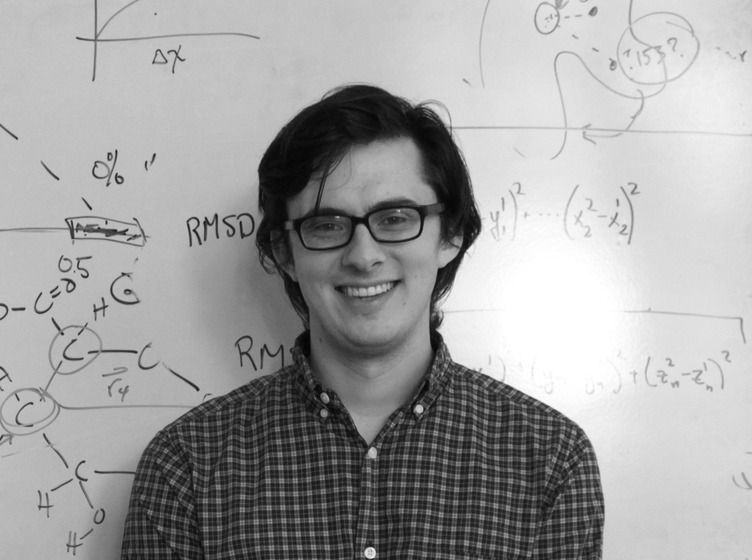 Peter is a fourth year Ph.D. student in the Department of Applied Physics at Yale. He graduated from Colgate University in 2013 with a B.A. in Physics, where he worked on discrete breather splitting in Josephson junction arrays. His Ph.D. research focuses on computational studies of crowding and slow dynamics in the bacterial cytoplasm. This work is performed in collaboration with Prof. Christine Jacobs-Wagner from the Department of Molecular, Cellular, and Developmental Biology at Yale. Qikai earned his B.S. in Applied Physics from the University of Science and Technology of China in 2013, and is currently a 5th year Ph.D student in MEMS at Yale. His current project focuses on understanding the vibrational response of particulate materials near jamming. Dr. Sandra Acebes Serrano, 2017-2018. Sandra is currently a big data consultant at Stratesys in Madrid, Spain. Dr. Abe Clark, 2014-2017. Abe is now an Assistant Professor in the Department of Physics at the Naval Postgraduate School in Monterey, CA. Dr. Bhaskar Sen Gupta, 2015 to 2016. He is now a postdoctoral research associate at the Max Planck Institute for Polymer Research in Mainz, Germany. Dr. Kai Zhang, 2012 to 2015. He is now a postdoctoral research associate in the Department of Chemical Engineering at Columbia University. Dr. Stefanos Papanikolaou, 2011 to 2013. He is now an Assistant Professor in the Department of Mechanical & Aerospace Engineering at West Virginia University. Dr. Robert Hoy, 2009 to 2012. He is now an Assistant Professor in the Department of Physics at the University of South Florida. Dr. S. S. Ashwin, 2009 to 2012. He is currently an Assistant Professor in the Department of Computational Science and Engineering at Nagoya University, Japan. Dr. Maria Sammalkorpi, 2010 to 2011. She is now an Academy Research Fellow in the Department of Chemistry at Aalto University, Finland. Dr. Gregg Lois, 2006 to 2009. He is now a research scientist at Arete Associates. Alexandra "Lexi" Signoriello received a Ph.D. in Computational Biology and Bioinformatics in December, 2018. Lexi's Ph.D. thesis was entitled "Computational modeling of immune cells during tumor development using the deformable particle model." Lexi is currently a senior data scientist at Boston Consulting Group. Jennifer Gaines received a Ph.D. in Computational Biology & Bioinformatics in May, 2018. Jennifer's Ph.D. thesis was entitled "Computational Studies of Protein Structure". Jennifer is currently a postdoctoral research associate at the University of Massachusetts Medical School in Worcester, MA. JC Salevan received a Ph.D. in Mechanical Engineering & Materials Science in December, 2017. JC's Ph.D. thesis was entitled "Experiments in Hydrodynamic Sediment Transport: Precision Measurements of Erosion in a Turbulent Fluid Flow". JC is currently a data analyst at Yale's Office for Institutional Research. Alejandro Virrueta received his Ph.D. in Mechanical Engineering & Materials Science in December, 2017. His Ph.D. thesis was entitled "Predicting side-chain dihedral angles of protein cores and beyond: An exploration of the limits of the hard-sphere model". He is currently working as a software engineer. Minglei Wang received his Ph.D. in Mechanical Engineering & Materials Science in December, 2017. His Ph.D. thesis was entitled "Computational Studies of Bulk Metallic Glasses: Asymmetric Crystallization, Nano-scale Crystallization, and Ductility". He is currently a strategist at Goldman Sachs. Thibault Bertrand received his Ph.D. in Mechanical Engineering & Materials Science in May, 2016. His Ph.D. thesis was entitled "Shaking the Sandbox: Energy Transport, Shear Jamming and Protocol Dependence in Model Jammed Solids". He is currently a Strategic Teaching Fellow in Applied Mathematics in the Department of Mathematics at Imperial College London, UK. Diego Caballero received his Ph.D. in Physics in May, 2016. His Ph.D. thesis was entitled "Computational Studies of Protein Structure". He is currently a participant of the European Central Bank Graduate Programme in Frankfurt, Germany. Manuel Mai received his Ph.D. in Physics in May, 2016. His Ph.D. thesis was entitled "Outcome Prediction and Reconstruction for Systems of Ordinary Differential Equations". He is currently a data scientist at Tapad in New York City. Wendell Smith received his Ph.D. in Physics in 2016 for his thesis titled "Modeling Diffusion and Motion in Cells at the Molecular Level." He is currently a Software Engineer working on high-throughput data analysis systems at Datadog in New York. Alice Qinhua Zhou received her Ph.D. in Molecular Biophysics & Biochemistry in 2014. Her Ph.D. thesis was entitled "The power of simple hard sphere models." She is currently an Associate at McKinsey&Company in New York. Tianqi Shen received his Ph.D. in Physics in 2014. His Ph.D. thesis was entitled "Computational Studies of Hard Disks: Contact Percolation, Fragility, Frictional Families, and Basin Volumes." He is currently a financial analyst at J.P. Morgan. Carl Schreck received his Ph.D. in Physics from Yale in 2012. His Ph.D. thesis was entitled "Mechanical and vibrational properties of model granular media." Carl is currently a postdoc in the Physics Department at UC Berkeley. Prasanta Pal, a former Ph.D. student in Applied Physics at Yale, graduated in May, 2011. His Ph.D. thesis was entitled "Quasi-one-dimensional models for glassy dynamics." Prasanta is a postdoc in the Department of Diagnostic Radiology at Yale University's School of Medicine. Guo-Jie Jason Gao, a former Ph.D. student in Mechanical Engineering & Materials Science at Yale, graduated in August, 2009. His Ph.D. thesis was entitled "Theoretical and computational studies of small jammed systems." He is now an Assistant Professor in the Department of Mathematical and Systems Engineering at Shizuoka University in Japan. Ning Xu received his Ph.D. in Mechanical Engineering from Yale in 2005. His Ph.D. thesis was entitled "Computer Simulations of Athermal and Glassy Systems." He is now a Professor in the Department of Physics and Deputy Dean of the School of Physical Sciences at the University of Science and Technology of China. 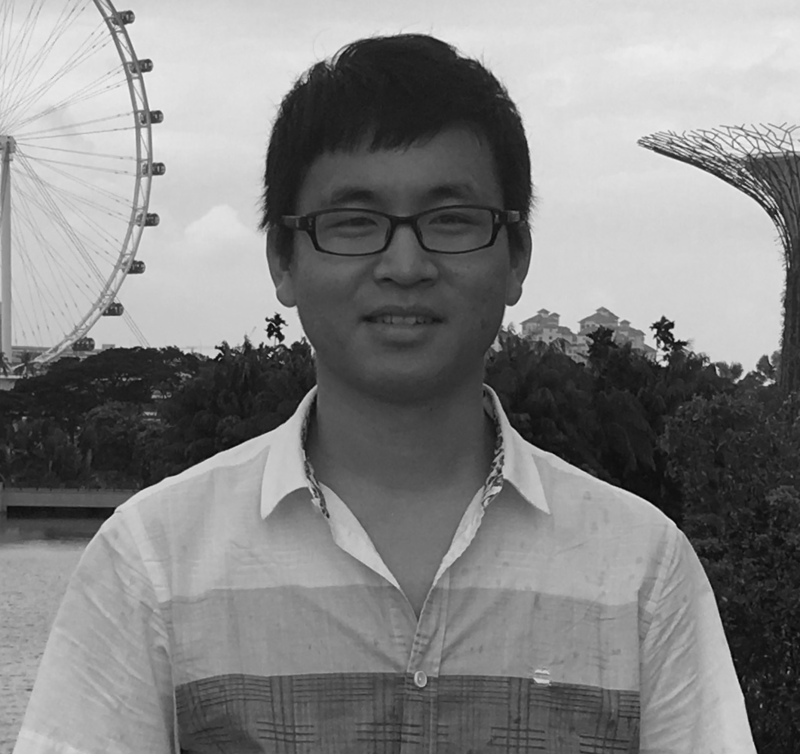 Chunyang Cui, a Ph.D student from the Department of Hydraulic Engineering at Tsinghua University, is a visiting assistant in research during AY 2017-2018. He is using molecular dynamics simulations to study the self-assembly of granular crystals during vibration. Chengdong Li is a visiting assistant in research in the O'Hern research group from 10/1/17 through 9/30/18. He is a Ph.D. student from the Department of Lfie Sciences and Biotechnology at Shanghai Jiao Tong University. While at Yale, he will use molecular dynamics simulations to design protein-protein interfaces. Kaiyuan Zhu, a Ph.D. student from the Department of Material Science and Engineering at Shanghai Jiao Tong University, is a visiting assistant in research during AY 2017-2018. At Yale, he uses molecular dynamics simulations to study memory formation in bulk metallic glasses during shear. Sheng Chen, a Ph.D. student from the Department of Thermal Engineering at Tsinghua University, is a visiting assistant in research during the AY 2017-2018. At Yale, he is studying shear jamming in frictionless and frictional granular media. Weiwei Jin, a Ph.D. student from the Department of Mechanics and Engineering Science at Peking University, was a visiting assistant in research during AY 2016-2017. At Yale, he studied jammed packings of circulo-polygons. Zhusong Li, a Ph.D. candidate at the City University of New York advised by Prof. Mark Shattuck, worked as a visiting assistant in research from 2013-2015. At Yale he focused on jamming and crystallization in particulate systems. Fei Jianbo, a Ph.D. candidate from the Institute of Geotechnical Engineering at Tsinghua University, China, was a visiting assistant in research from 2014-2015. At Yale, he worked on developing discrete element simulations of avalanches in fully fluid-immersed granular systems during slump test and inclined plane flows. Hanne Antila, a Ph.D. candidate in the Department of Chemistry of Aalto University, in Finland, was a visitng assistant in research from 2013-2015. She worked on multiscale modelling of charged polymers using all-atom molecular dynamics and Monte Carlo simulations. Florian Ulmann, was a visiting assistant in research during 2014 from the University of Basel, Switzerland. 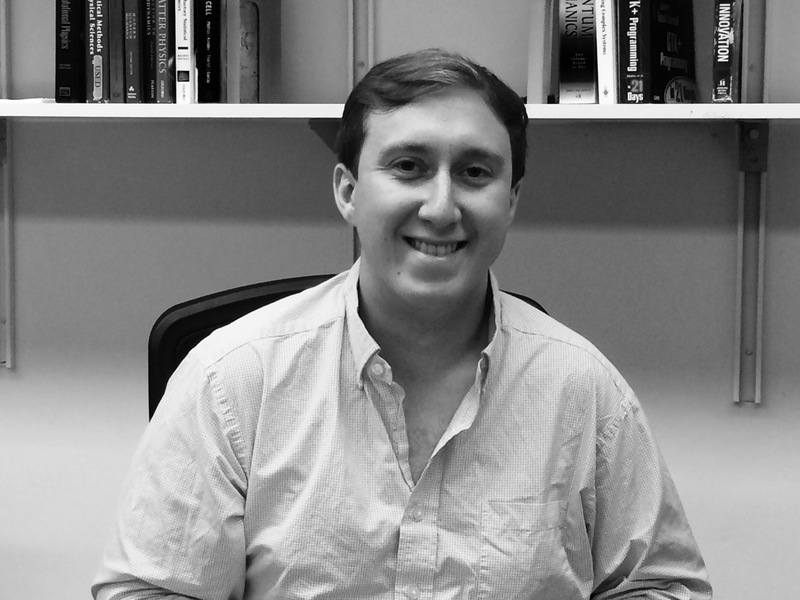 Mark Kanner was a visiting assistant in research during 2013-2014 from The City College of New York (CCNY). Jukka Määttä was a visting assistant in research during 2012-2013 from Aalto University, Finland. · Matthew Barber (Physics, Yale College, 2009); Associate at Flexpoint Ford. · Erik Brown (Physics, Yale College, 2006). · Mitchell Butler (Biophysics, University of Southern California, 2018). · Brianna Chrisman (Applied Physics and Biomedical Engineering, Yale College, 2015); Software Engineer at Google. 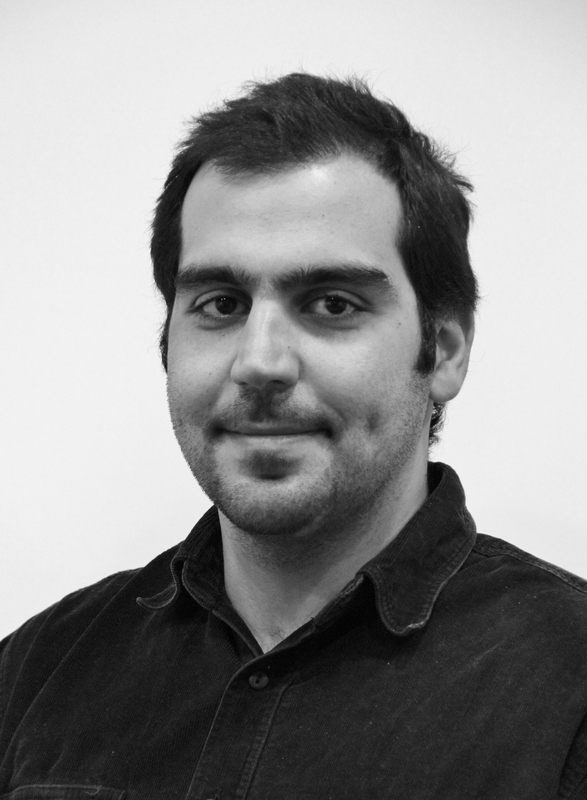 · Manolis Davris (Mechanical Engineering, Yale College, 2012); Senior Associate at Novantas. · Evan Feinberg (Applied Physics, Yale College, 2013); Ph.D. student, Institute for Computational & Mathematical Engineering, Stanford University. · Jonathan Hartman (Mechanical Engineering, Yale College, 2009); Global Technology Partnerships Lead at Sikorsky Aircraft. · Nabeem Hashem (Applied Physics, Yale College, 2012); Analyst J.P. Morgan Chase. · Po-Yi Ho (Physics, Yale College, 2013); Ph.D. student, Department of Physics, Harvard University. · Nathaniel Knapp (Chemical Engineering, Yale College, 2014); Masters Student at TU Munchen. · Matthew Kremer (Applied Physics, Yale College, 2011); Team Marketing and Business Operations for the National Basketball Association. · Dominic Kwok (Physics, Yale College, 2013); Senior Analyst at Altman, Vilandrie & Company. 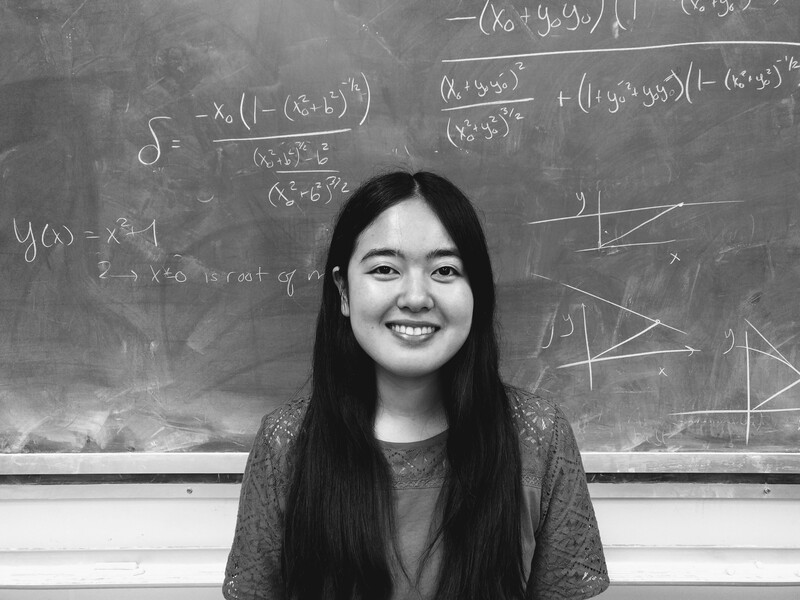 · Georgia Lill (Applied Math, Yale College, 2013); Research Associate in Bioinformatics at UCLA. · Jaibin Liu (Physics, Bryn Mawr College, 2014). · Maxwell Micali (Mechanical Engineering, Yale College, 2012); Ph.D. student, Department of Mechanical Engineering, UC Berkeley. · Sarah Penrose (Chemistry, Connecticut College, 2013); Software Engineer at Amazon. · Benjamin Pollak (Physics, Washington University in St. Louis, 2014). · Aman Richard (Mechanical Engineering, Yale College, 2014). · Alyssa Roland (Mechanical Engineering, Yale College, 2011); Associate at Credit Suisse. · Ian Rose (Physics, Yale College, 2009). · Christina Schindler (Physics, Heidelberg University, 2012). · Saranya Sethuraman (Applied Math, Yale College, 2011). · Ajay Shalwala (Chemical Engineering, Yale College, 2005); M. D. from Washington University in St. Louis. · Sherwin Soltani (Physics, Yale College, 2012); M. D. from Medical University of South Carolina. · Stefan Stanojevic (Physics, Brandeis University, 2014); Ph. D. student, Department of Physics. · Rebecca Taft (Physics, Yale College, 2008); Ph.D. student, Department of Computer Science, MIT. · Phillippa Thomson (Mechanical Engineering, Yale College, 2006); Graduate Student at Columbia University. · Aishwarya Vijay (Electrical Engineering, Yale College, 2014). · Michael Weiner (Physics, Yale College, 2011); Ph. D. stuent, Department of Physics, Cornell University. · Amy Werner-Allen (Applied Math, Yale College, 2011); Consultant at Arcadia Healthcare Solutions. · William Henry Wilkin (Physics, Yale College, 2013); Ph. D. student, Department of Physics, Harvard University. · Wesley Wilson (Applied Physics, Yale College, 2012); Tutoring Club Temecula. · Alix Witthoft (Physics, Mount Holyoke College, 2007); Ph.D. Student, School of Engineering, Brown University. · Christopher Yerino (Physics, Yale College, 2006); Ph. D. Student, Department of Electrical Engineering, Yale University.